Blue Crabs are very important for our ecosystem here in South Texas. Many people have not given it much thought, but without them in the food chain many other water life species are effected greatly. There has been a massive decline of Blue Crabs all over the world including a decline in our very own backyards. 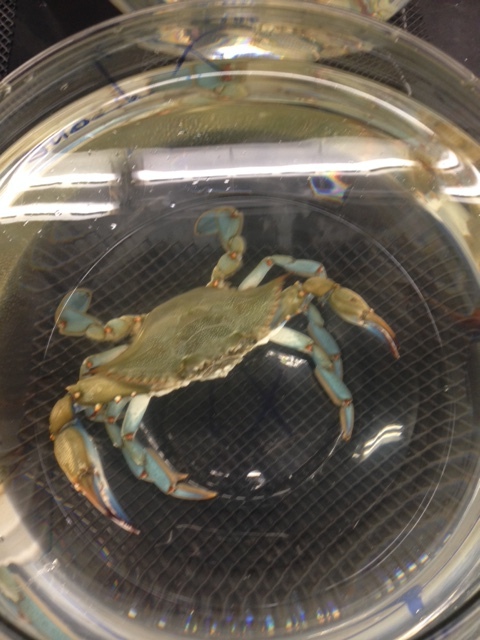 One effect we choose to look closely into are the effects of pesticides on the Blue Crab population. The use of pesticides are active throughout South Texas, although it has been thought that the potions of pesticides used do not have long term harm on the Blue Crabs. 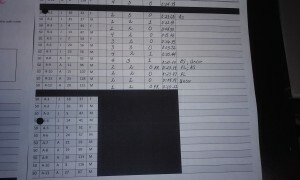 The following log contains the experiment design and outcomes of pesticides on local Blue Crabs. We had two very important groups for our experiment; Adult and juvenile crabs. 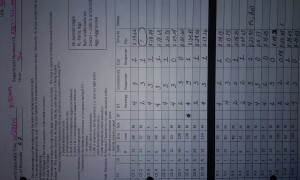 Within each group was a control group (received no pesticides), and exposed group (received pesticides safe for human consumption), and an acute group (received an acute exposure of pesticides than that of the exposed group). How long it took to flip the crabs. 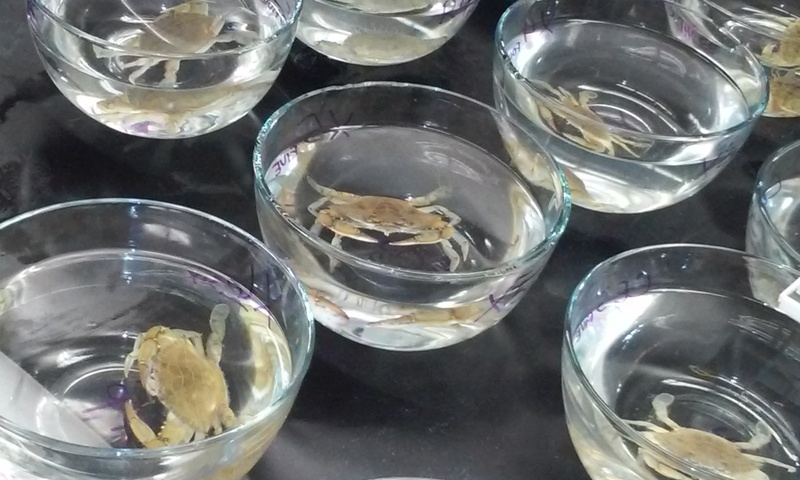 After the experiment each group of crabs were taken to the hatchery in Flour Bluff were the capabilities to track and locate food were tested. We looked to see if the there was an obvious difference between the control and exposed groups. 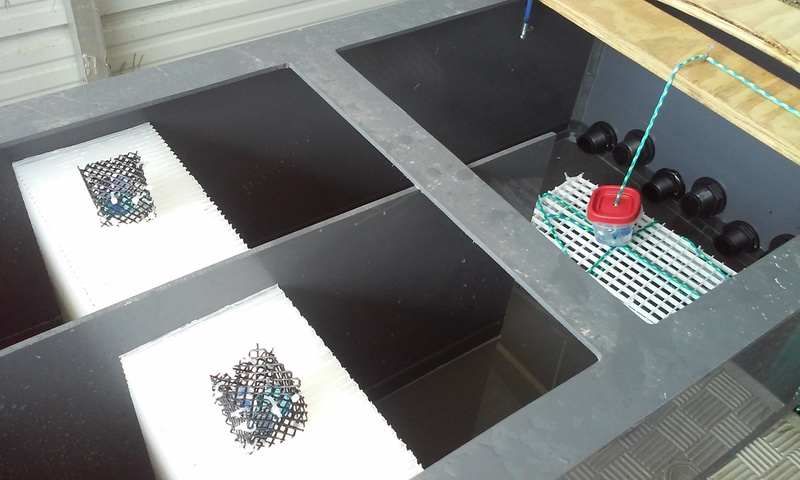 It was clear when flipping the crabs that the exposed group were more likely to be unresponsive, uncoordinated, inconsistent, and easier to flip than the control groups. The bait was placed on either the left or right side of the box. After 5 minutes the white cage was lifted and the free crab was tested to locate the bait. Many failed or were unconcerned with eating. Why were the juveniles less affected by the pesticides? 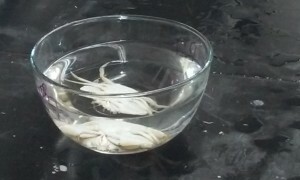 What is the recovery period for the crabs before they are released back into the wild? (C) predict the effects of changes in ecosystems caused by living organisms, including humans.